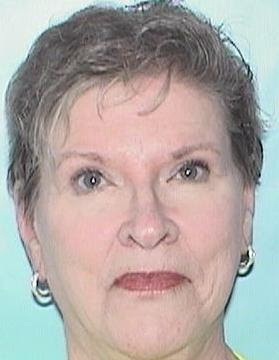 A Silver Alert has been issued by the Artesia Police Department for a local woman missing since Tuesday. Loretta Williams, 71, was last seen around 6:30 a.m. Tuesday in the 2000 block of West Briscoe Avenue. She was wearing jeans and a sweater, and may be driving a blue Hyundai Accent with New Mexico tags. Williams is described as Caucasian, 5’5″ tall, weighing 150 pounds, with grey hair and blue eyes. She may be wearing a brown wig. She is believed to be in danger if not located. Anyone with information concerning her whereabouts or who believes they may have seen Williams is asked to call the APD at 746-5000 or 911.